FEBRUARY 23ST 2019. 09:00 HOURS. 65 KM. POSITIVE ELEVATION 3.200 M A course designed only for the brave. To complete this type of Transgrancanaria need to be physically fit and experienced mountain racing over long distances. If you have successfully participated in the Transgrancanaria Marathon in the past, this may be for you the next year. 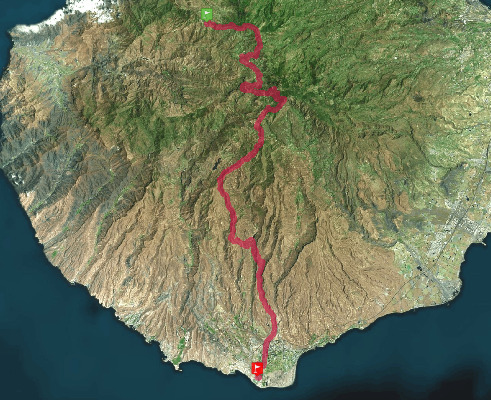 The route crosses some of the most outstanding natural scenery of Gran Canaria and it begins at 09:00 in the morning. Several aid stations will welcome the runners, who will enjoy the encouragement of the thousands of people along the course that will come to marvel at your bravery.